Posted in: 6 The Movie Corner. Tagged: Anne Curtis, Carmi Martin, Cristine Reyes, Derek Ramsay, No Other Woman, Ruel Bayani, Star Cinema, Tirso Cruz III, Viva Films. You have got to watch the movie this weekend. You will like everything about it. Promise. And if it helps in your decision, “No Other Woman” has been rated A by the Cinema Evaluation Board. It doesn’t take a genius to guess that infidelity is the film’s main subject matter. But go beyond jaded notions about spending two hours on something that has been told so many times before. Director Ruel Bayani masterfully directed all his performers as the trio of Anne Curtis, Derek Ramsay and Cristine Reyes came up with splendid performances worthy of an applause. Add to that the attention-grabbing turns of supporting players Carmi Martin and Tirso Cruz III plus a screenplay that is both fluid and engaging, and you’ve got both a critical and box-office hit. “No Other Woman” is a co-production of Star Cinema and Viva Films. Posted in: 6 The Movie Corner. Tagged: Aga Muhlach, Eugene Domingo, Filharmonika, Gerald Salonga, Luis C. Suarez, Ria Osorio, RPG Metanoia, Star Cinema, Vhong Navarro, Zaijan Jaranilla. 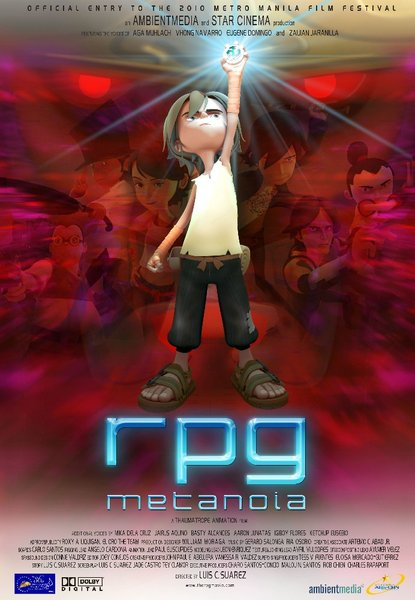 RPG Metanoia is the first Philippine-made 3D Animated Movie. 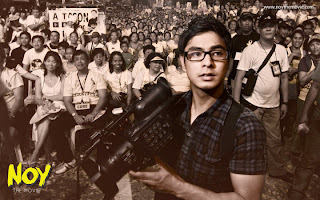 And it will open on Christmas Day as part of the 2010 Metro Manila Film Festival. It is the story of Nico, a young online gamer, his friends, and their challenge to prevent the ‘unknown’ opponent in its attempt to seize the world of Metanoia and our world. Featuring the voices of Aga Muhlach, Eugene Domingo, Vhong Navarro, Mika dela Cruz and child actor Zaijan Jaranilla, this film deserves the support of moviegoers because it is definitely a solid step forward in the local film industry. Filipino animators are known globally as some of the world’s best (just check the ones working for Pixar and Dreamworks SKG). A look at the HQ trailer above gives you the impression that it is a worthy first 3D output for Pinoy Cinema. RPG Metanoia is produced by AmbientMedia and Star Cinema and directed by Luis C. Suarez, with music conducted by Gerald Salonga, orchestrated by Ria Osorio along with Filharmonika Orchestra. Posted in: 6 The Movie Corner. Tagged: Alessandra de Rossi, Dalaw, Diether Ocampo, Dondon S. Santos, Empress Schuck, Gina Pareno, Karylle, Kris Aquino, Maliksi Morales, Metro Manila Film Festival, Robinson's Galleria Movieworld, Star Cinema. The 2010 Metro Manila Film Festival (MMFF) will start on Christmas Day, December 25 as eight (8) new Filipino movies will flood all the multiplexes nationwide. The only new twist this year is that five (5) indie flicks will be exhibited in Cinema 3 of Robinson’s Galleria Movieworld simultaneous with the festival. One of the entries (and one of 3 bets of Star Cinema) is “Dalaw” (Visit) which aims to scare the hell out of the moviegoers during the Holiday Season. 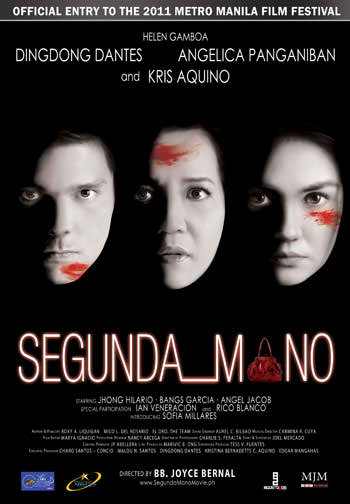 It stars the ‘Queen of Horror Films’ – Kris Aquino – in a role that is supposed to be more physically demanding than what she did in “Sukob” and “Feng Shui”. In it, she stars with Diether Ocampo, Karylle, Alessandra de Rossi, Empress Schuck Maliksi Morales and Gina Pareno. Directed by Dondon S. Santos (‘Noy’), “Dalaw” is out to make it to the Top 3 moneymakers in the MMFF. Posted in: 6 The Movie Corner. Tagged: Baron Geisler, Cherry Pie Picache, CineMedia, Coco Martin, Dondon S. Santos, Erich Gonzales, Joem Bascon, Noy the Movie, Noynoy Aquino, Philippine Presidential Elections, Shugo Praico, Star Cinema, Vice Ganda. Today (and not May 26 as the poster above states), an indie movie with a respectable cast of Film and TV performers will open on limited run in Metro Manila theatres. 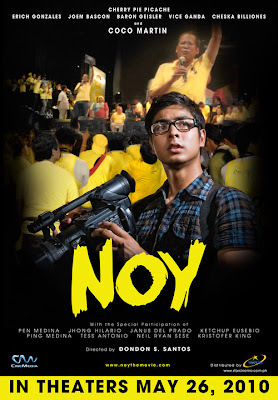 Noy, the Movie – directed by Dondon S. Santos from the screenplay of Shugo Praico – stars one of the Philippines’ current showbiz heartthrobs Coco Martin together with Cherry Pie Picache, Joem Bascon, Erich Gonzales, Baron Geisler and Vice Ganda. It tells the story of a family breadwinner who posed as a journalist tasked to cover the campaign trail of his namesake – Senator Noynoy Aquino – in the 2010 Philippine Presidential Elections. It contains actual documentary footages combined with a family drama that revolves around poverty, survival and hope for the Filipino family. Check out the official website for more info about Noy the Movie from CineMedia and distributed by Star Cinema. Posted in: 6 The Movie Corner. Tagged: Ang Darling Kong Aswang, Ang Panday, Bong Revilla, Dolphy, Gatpuno Antonio Villegas Cultural Award, GMA Films, Heart Evangelista, I Love You Goodbye, Imus Productions, Joel Lamangan, Mano Po 6: A Mother's Love, Metro Manila Film Fetsival, MMFF, Phillip Salvador, Robert Buboy Villar, Sharon Cuneta, Star Cinema. 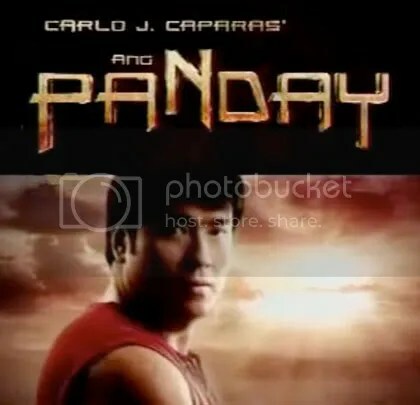 “Ang Panday” (The Swordsmith) was adjudged Best Picture in the ongoing Metro Manila Film Festival (MMFF) and bested 6 other movies by cornering a majority of the awards handed out last night at the SMX Convention Center. The GMA Films/Imus Productions venture, which garnered 7 trophies in total, is also gunning to be the top grosser in terms of box-office earnings.